After witnessing tremendous success in India, the revolutionary NAVI is now set to make inroads to its first export destination- Nepal. Showcased at the Nepal Auto Show 2016, NAVI received an overwhelming response from the exhibitors. The block buster at the Auto Show – Honda NAVI is the quickest to achieve 500 units dispatch in just 3 weeks of its launch in Nepal. 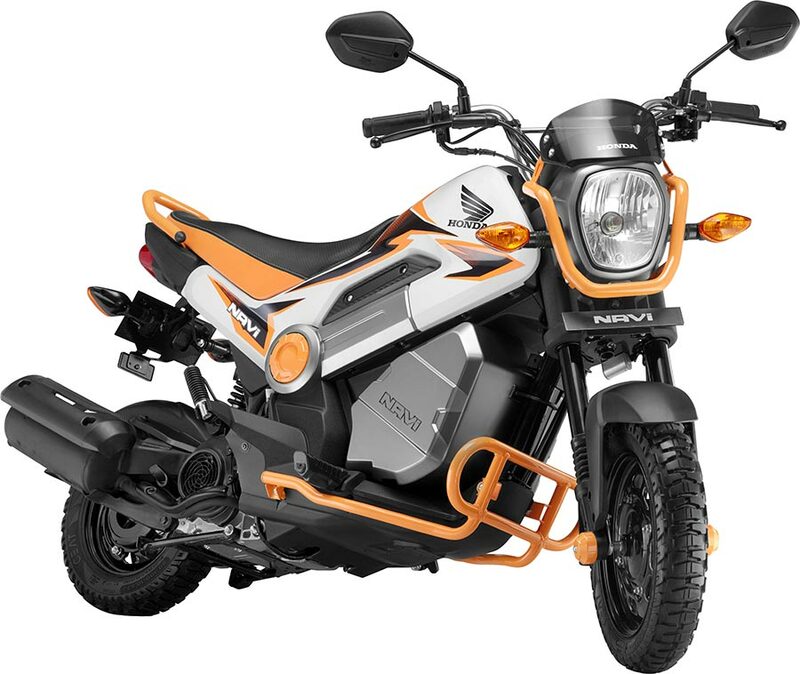 Disrupting the monotony and bringing FUN to 100-110cc segment, NAVI is 100% developed by Honda R&D India from concept development to commercial production and also the first 100% Honda R&D India model to be exported outside India. After witnessing huge success of NAVI in the Indian market, we wish to extend this revolution to other parts of the world. Being one of our largest export market and a young vibrant country, we are commencing NAVI exports to Nepal. The overwhelming response received at the Nepal Auto Show and first 500 unit export dispatch in a matter of just 3 weeks is an evidence in itself of its surging demand, NAVI-lution is on its way to hit Nepal roads!! NAVI’s unconventional design is its uniqueness – the concept is very Mechanical & Clean. In its standard form, the design statement is FUN TO SEE and pure FUN TO RIDE. Providing endless possibilities in expression & Customization for the young customers – NAVI is designed in such a way, that it opens up a significant opportunity to modify & customize it to suit ones taste. And therefore pure FUN to Create. NAVI is powered by the trusted 109cc engine which makes 8PS at 7,000rpm and delivers a peak torque of 8.96Nm at 5,500rpm. The Navi runs on 12″ front and 10″ rear wheels, each equipped with a 130mm drum-type braking unit, and gets tubeless tyres. It gets upside-down telescopic forks at the front and a hydraulic monoshock at the rear. The standard NAVI will be available in 5 colour options: Patriot Red, Hopper Green, Shasta White, Sparky Orange & Black. Being the market leader, Honda enjoys a market share of 29% in Nepal. Honda’s exports to Nepal includes other models namely – Dio, Aviator, Activa 125, CD Dream, CB Shine, CB Shine SP, CB Unicorn 160, CB Hornet 160R and CBR 250R.